Early this week the weather forecast was for a week of sunny days and today would be one of the nicest of the week. Seeing as I have a few extra vacation days over, I decided to take one and head off to Limburg. It was 18,5 C and a bit windy but I had a great ride. Over 2 hours, 40 km, with almost nothing but climbing. I started in Schoonbron, through Valkenburg, then up the Cauberg (4e cat) and I took a picture of the last sign at the top of the climb, that you are leaving Valkenburg. 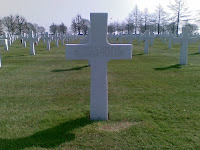 From there it was down to Sibbe and a quick stop at Margraten to visit PFC Henry L. Hooper. 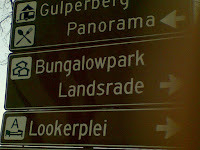 From there it was back up the hill towards Gulpen where I stormed the Gulperberg (see picture of the sign at the top of the climb), onwards through a few smaller villages to Heijenrath, then down into Slenaken. I then turned around and took the Lorberg tour climb (4e cat) back up to Eperheide and Epen. From there it was through the rolling hills through Mechelen, Wittem, Gulpen and home to Schoonbron. Once I got changed it was time to examine the statistics on the cycling computer; 2 hours on the bike, 2100 calories burned, 40 km cycled. 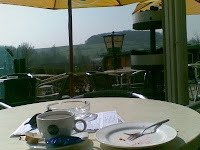 It was so nice I first had a coffee and the local Limburgse vlaai (pie) with the pictured view of the Keutenberg.